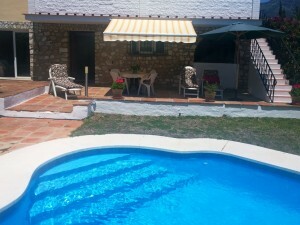 A quality, modern villa benefiting from one level access from the ground floor to the pool. The property has a large garage of 176 m2, currently separated into parking for several cars, games room, office, workshop with interior access to the house. There is one bedroom, a bathroom, kitchen, entrance hall and lounge on the ground floor with a large terrace overlooking the pool. The first floor has 3 further bedrooms, master being ensuite with dressing room and a further family bathroom. There is a large terrace leading from the master bedroom with panoramic views. Villa - Detached, Riviera del Sol, Costa del Sol. 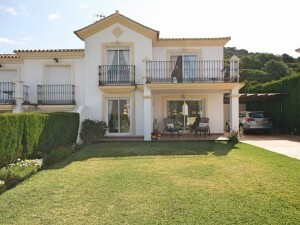 4 Bedrooms, 3 Bathrooms, Built 384 m², Terrace 80 m², Garden/Plot 506 m². Setting : Close To Golf, Urbanisation. Views : Golf, Panoramic, Garden. 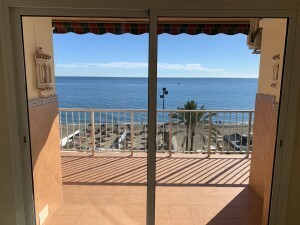 Features : Covered Terrace, Fitted Wardrobes, Private Terrace, Solarium, Satellite TV, ADSL, Ensuite Bathroom, Marble Flooring, Jacuzzi, Double Glazing. Parking : Underground, Garage, More Than One, Private.